Wahl, who is based in the Department of Civil, Environmental and Construction Engineering and also is a member of UCF’s Sustainable Coastal Systems Cluster, will serve as a contributing author to the UN’s Intergovernmental Panel on Climate Change, which in 2007 earned a Nobel Peace Prize for its work on one of its previous assessment reports. The panel is an international collection of experts who assess the science related to climate change and its potential environmental and socio-economic impacts. The report is compiled every six years and is shared with scientists, stakeholders and policy makers around the world. Wahl will contribute to a chapter about sea level rise. 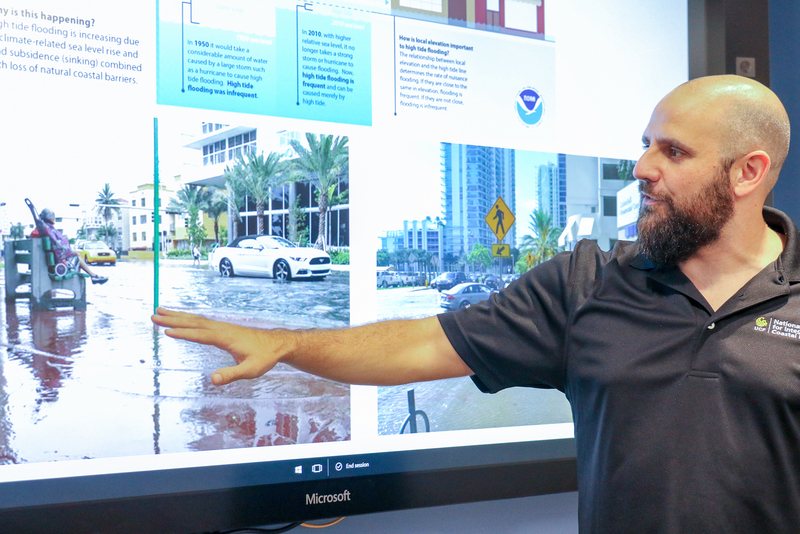 His area of expertise is extreme sea levels from high tides, storm surges and/or waves leading to coastal flooding and erosion. “This is a very active research field where great progress has been made in the last few years,” he says. “The challenge will be to pull all this information together and present it in a comprehensive, yet concise way. Wahl joined UCF in 2017. 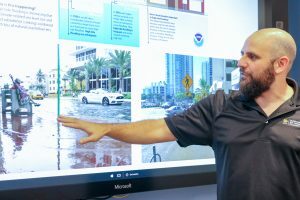 He has a doctorate in civil engineering from the University of Siegen in Germany and has been studying sea level rise, storm surges and the resulting impacts for years, publishing papers and giving presentations around the world. Other areas of his research include multi-hazards, coastal engineering design concepts, and climate adaptation and resilience.